American mathematician, meteorologist and the pioneer of chaos theory, Edward Lorenz coined the phrase the “butterfly effect” in 1969, which suggests that small perturbations, changes and causes in one location may have large effects and impacts in an entirely different location and in an entirely different system. Put simply, the adage goes that a butterfly flapping its wings in Japan may cause a hurricane in Oklahoma. Whether you subscribe to this theory or not, as part of the global economy, the United States is subject to changes and decisions made by other countries around the world, and organizations such as OPEC – the Organization of the Petroleum Exporting Countries. OPEC member status has changed over the decades, with some of the top oil-exporting countries such as Indonesia and Ecuador having suspended membership at one time or another for political reasons. The organization exists to provide member states with technical and economic aid resources. Saudi Arabia is the largest oil producing and oil exporting member state within OPEC, having produced over 10-million barrels a day in May of 2018. 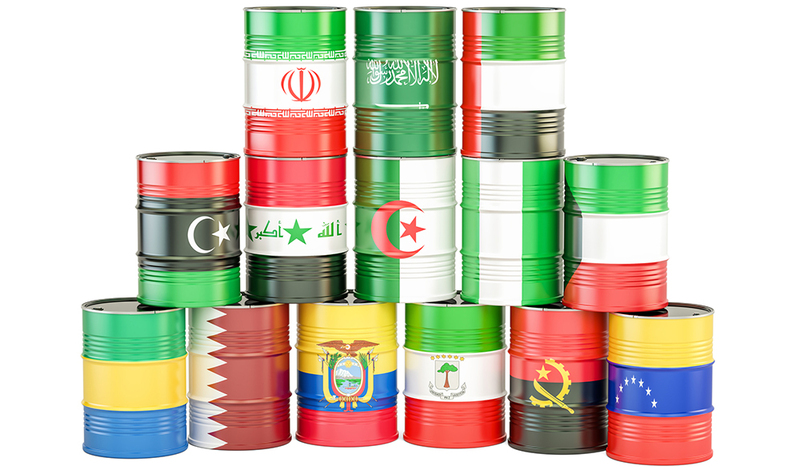 A recent Investopedia article described how in the short term, OPEC is highly influential when it comes to the global and domestic price of oil, which can in turn impact the US economy. If OPEC member countries are unsatisfied with the global price of oil they have the ability to adjust the supply to voluntarily raise prices. As with the butterfly effect, when OPEC cuts supply, global oil prices almost immediately follow suite. Even a mere suggestion can reverberate to American consumers. From time to time, as was the case this summer, OPEC decides to conversely increase oil production and supply, which lowers global prices and has an affect on domestic markets. Oil production in the US and Canada affect OPEC’s decisions as well. When the OPEC share of the pie is decreased as the US ramps up domestic production, OPEC responds accordingly. With these fluctuations and perturbations in the marketplace, an equilibrium is eventually reached as supply and demand level out. The US Economy and OPEC are intricately connected via the global economy and influence one another based on the political climate as well as through the actual climate in the form of hurricanes. In 1973, OPEC imposed an embargo against the US, which, according to the Department of State Office of the Historian stated that “The embargo both banned petroleum exports to the targeted nations and introduced cuts in oil production. Several years of negotiations between oil-producing nations and oil companies had already destabilized a decades-old pricing system, which exacerbated the embargo’s effects.” The embargo was enacted in retaliation for the United State’s choice to resupply the Israeli Army and to “Gain leverage in the post-war peace negotiations.” It also extended to other countries in support of Israel, which included the Netherlands, Portugal, and South Africa. The 1973 embargo sent shockwaves across America, and is now historically referred to as the “First oil Shock.” At the end of the embargo in 1974, the price of oil globally was capping out at nearly $12 per barrel, with US prices even higher. 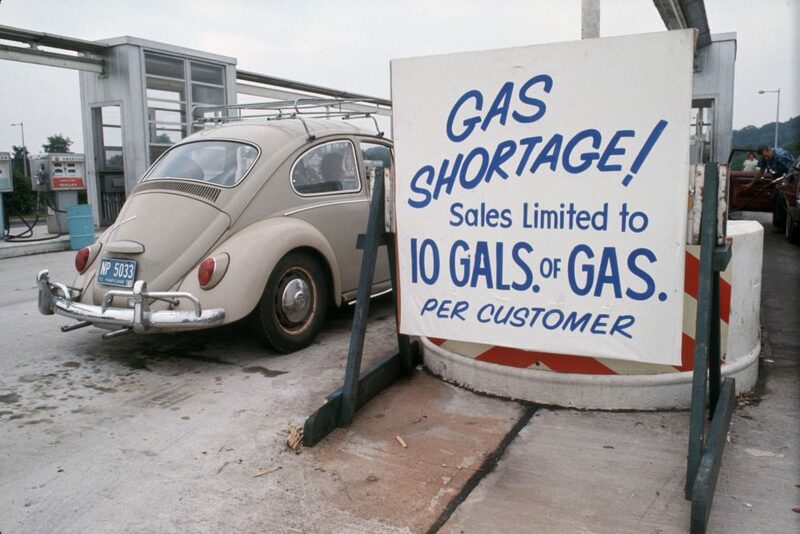 A second famous oil crisis happened in 1979 and is considered the “Second Oil Shock,” where long lines at gas stations stretched on seemingly forever and gas was either not available or in short demand. In 1990 a “mini oil shock” resulted from the Iraqi invasion of Kuwait, an invasion on an OPEC member country. This example illustrates the highly political nature of oil market fluctuations, which can be impacted by war and periods of political unrest along with natural disasters such as Hurricanes. Cars wait in the long lines during the gas shortage. Both the US Economy and OPEC are intricately tied to the global economy, and are both subject to a myriad of influencing factors. Our relationship with OPEC over the past nearly six decades has ebbed and flowed, and in trying times we have been called to loosen our dependence on foreign oil to invest more in the development of domestic reserves. Our dance with the US Economy and OPEC will likely continue, and currently the global oil supply is reaching record highs as the organization ramps up 2018/2019 production in an effort to compensate for oil lost to sanctions with Iran – sanctions that were put in place in response to the country’s development of nuclear technology and potential nuclear weapons capability.